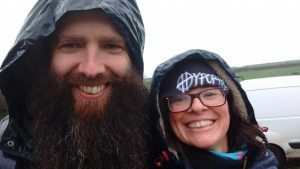 Perennial Harvest’s Founder Tamasin Pemberton and her husband Stuart Pemberton believe strongly in nature conservation and love wildlife. Tamasin has a BSc in Environmental Science and Technology she studied at Camborne School of Mines. 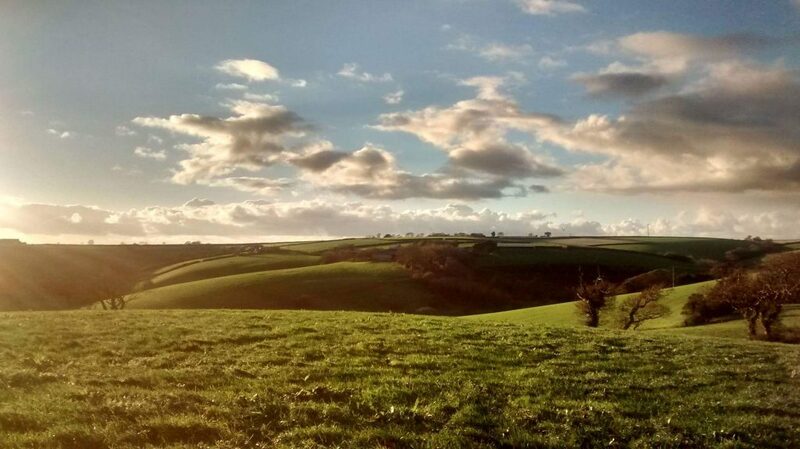 They own a 13.5 acre farm near Mevagissey which they are gradually populating with native trees to form windbreaks, provide habitat for wildlife and help our diverse native species to thrive. The ultimate aim of this long-term project is to grow an orchard based on permaculture and organic principles. 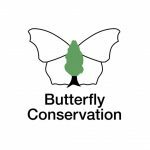 This year butterfly counts were carried out at public events to begin to find out what species live here. 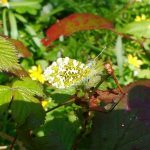 Our aim is to build on this knowledge by carrying out regular species surveys with the help of experts, we will invite the public and groups to attend these events where possible.To find out more about the Butterfly Conservation in this area and get involved with their work click on the image. 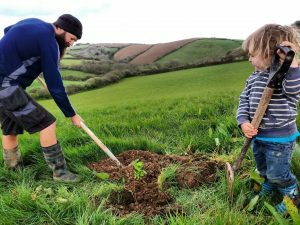 Many public and family-friendly tree planting days have been organised to date on their farm which everyone is welcome to take part in. Nearly two thousand trees have been planted to date most of which have been kindly donated by the Woodland Trust. 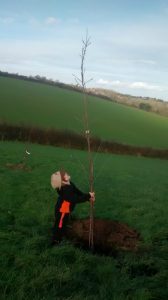 The next tree planting session is to be held on December 2nd between 2pm and 4pm and details of this can be found by contacting us through this website. We will be adding more dates very soon. Further sessions are in the works for December and January through working with local community groups such as Gorran and Mevagissey Cub Scouts. 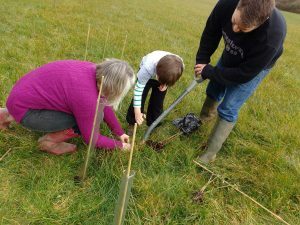 If your community group would like to plant some trees do let us know and we can organise a group planting session for you. Its good for you and the environment!